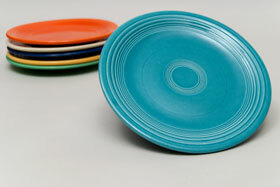 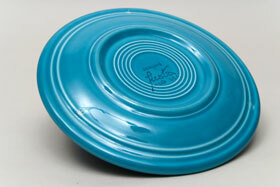 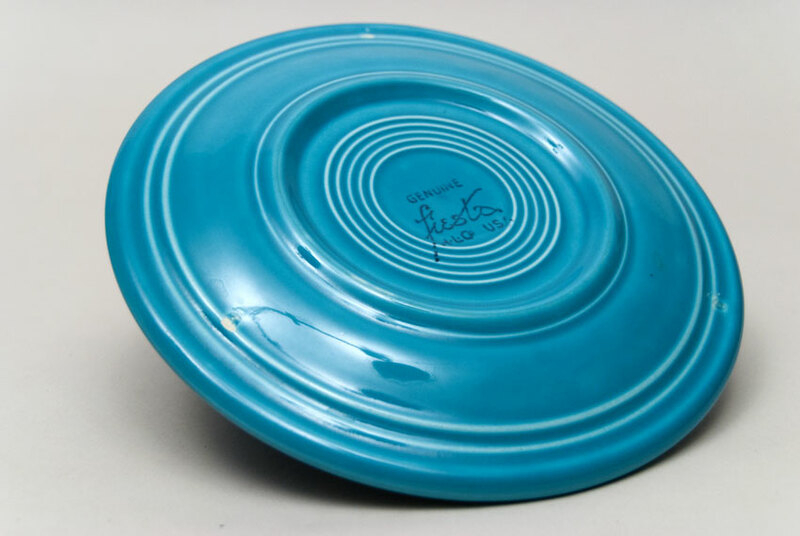 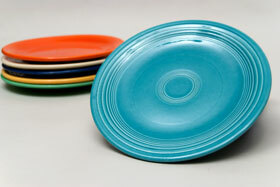 Circa 1936-1969: The 7" Vintage Fiesta plate has become known as the "salad" plate. It measures 7 7/16" w x 5/8" h. The 7" plate is actually harder to find than the 6" bread and butter. Vintage Fiesta plates are the backbone of the pottery line and they were produced in four different sizes for the entire length of the vintage line. Vintage Fiesta plates had their bands of concentric rings shaped by the metal tool blade of a jiggering machine as either the mold or the blade rotates. 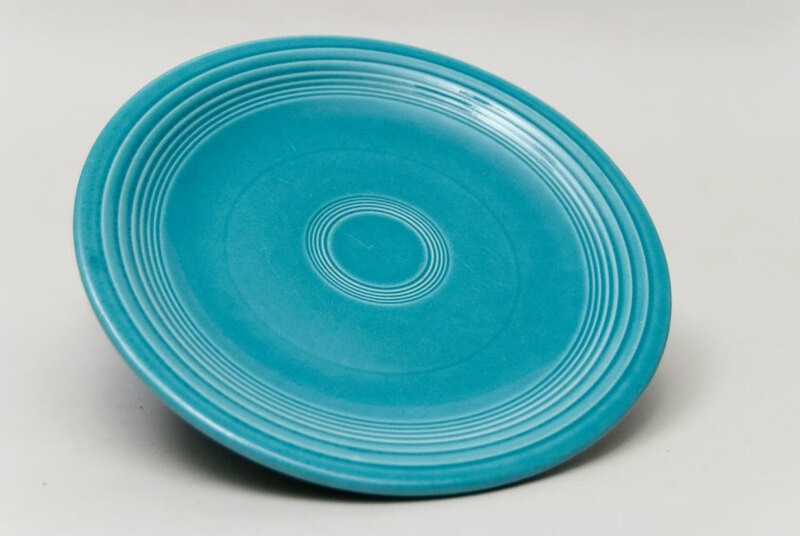 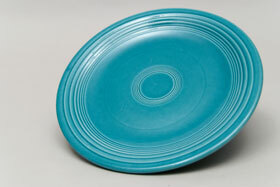 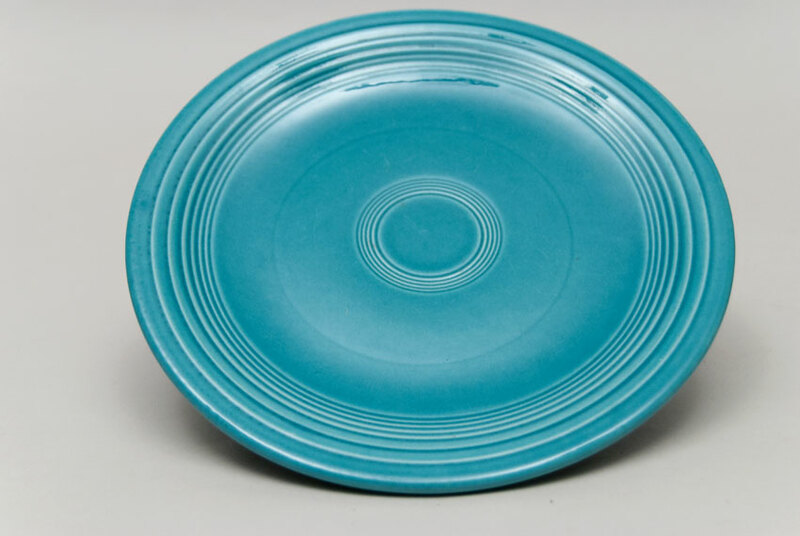 This example of the 7" Fiesta plate in the original turquoise is in very good condition, with no damage, no unsightly scratches and very little to no use, so you may enjoy the delightful expanse of the lovely Vintage Fiesta glazes. Inkstamped on the back.